St Chad’s College Junior Common Room (JCR) is one of the smallest and most vibrant student bodies within Durham University. 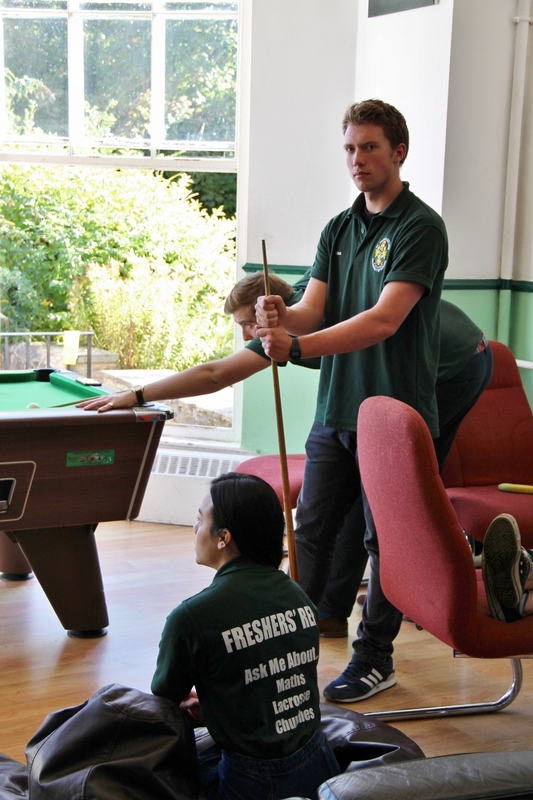 The JCR provides the means to have an awesome University experience, whether you’re relaxing in our Common Room, enjoying a pint in our student-run bar, taking part in one of many sports or simply getting a great degree. Just in case you’re confused, the term ‘JCR’ refers to two things at once. On the one hand it means the body of undergraduate students in the College. All undergrads are automatically members of the JCR and it exists to organise events and run certain services around college, such as the Bar and the sports teams. 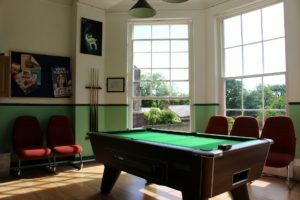 On the other hand, the JCR also refers to the actual junior common room: a room in college which houses sofas, newspapers, vending machines, the pool table and of course, the T.V. The constitution is what governs both the running of the JCR and JCR meetings. It is a fairly dull, yet important document and copies can be obtained from the Exec Office, or on this website. The Constitution is not set in stone and can be amended at JCR meetings, though any changes require approval by the College Governing Body. This is when we discuss how to spend our money and how to organise ourselves. There is at least one meeting of the whole JCR each term, but emergency meetings can be called at any time, although these are extremely rare. Attendance is compulsory but apologies can be sent to the JCR Secretary. The meetings are often held on Sunday afternoons or evenings. Minutes of previous meeting are kept by the JCR Secretary and can be consulted at any time. This tends to be the centre of life in Chad’s and contains the TV, pool table, a vending machine and newspapers. The JCR takes all main broadsheets as well as the Sun and the Mirror and the corresponding Sunday papers. The general rule of thumb is that newspapers must be kept in the JCR in a reasonable state until 9pm. Sport features heavily on the TV, alongside Channel 4 documentaries, the Apprentice and many more, but Game Of Thrones takes priority over pretty much everything.